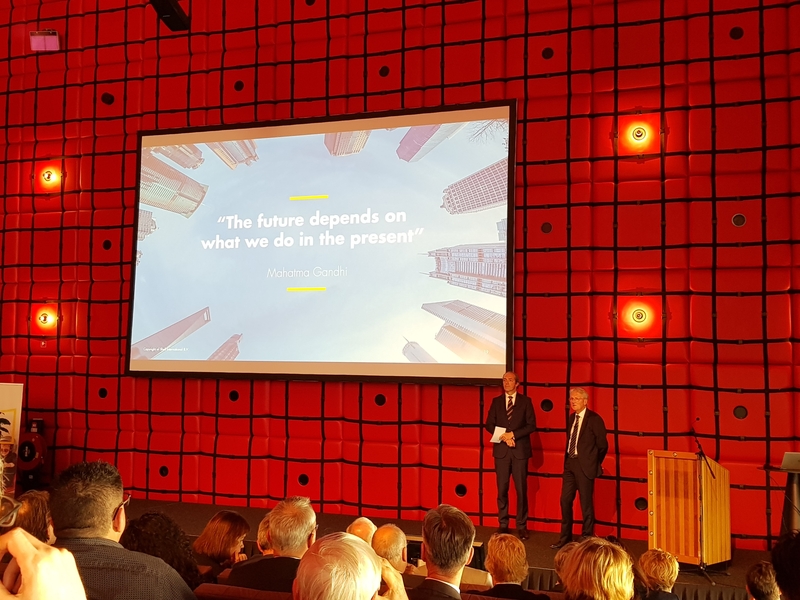 Last Tuesday 19 March 200 IRO members joined the annual EY-IRO Industry Forecast meeting in Rotterdam, where they were updated on the developments in the oil, gas and offshore renewable industry and the energy transition by speakers from Wood Mackenzie, EY and Shell. Wood Mackenzie’s Obo Idornigie gave his view on the current and future investments in the North Sea as well as from a global perspective. EY’s Bram Kuijpers presented the most recent results of the Dutch Oilfield Services Analysis. Furthermore, Shell’s Wim Thomas, elaborated on Shell’s Sky Scenario. The Sky scenario illustrates a technically possible, but challenging pathway for society to achieve the goals of the Paris Agreement. Sky builds on previous Shell scenarios publications and is Shell’s most optimistic scenario in terms of climate outcomes.